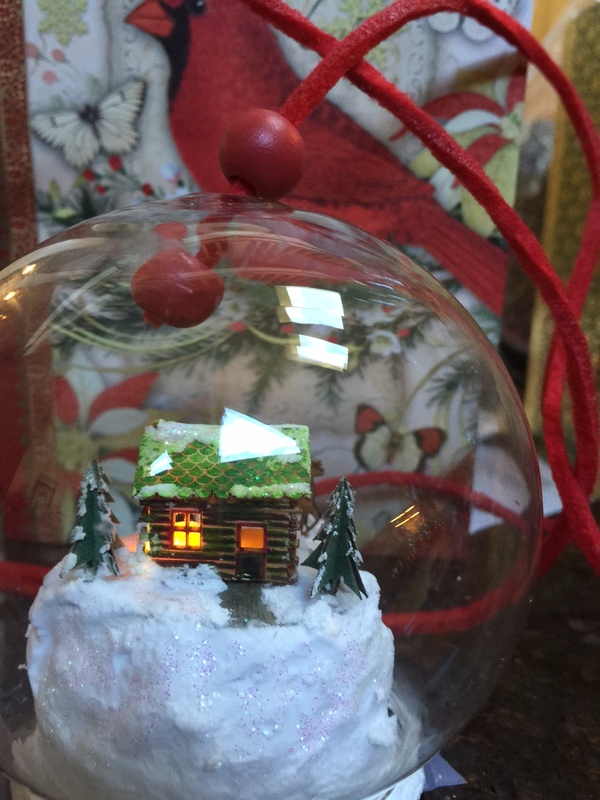 This Cabin Ornament was made from a roundtable kit by Ruth Stewart. It is 1/144 scale, and has lights. Built by Laurie Parker.